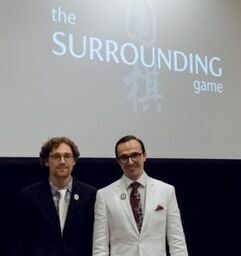 Sunday’s Congress Coverage: The E-Journal’s live coverage on Sunday, August 6 begins with a preview of the day — and an interview with “Surrounding Game” filmmakers Cole Pruitt (right) and Will Lockhart — on YouTube and Twitch at 8:30a PDT, and broadcast of the U.S. Masters top boards starts at 9a on YouTube/Twitch and KGS, with pro commentary starting around 10a by Jennie Shen 2P on KGS and Shirley Lin 1P on YouTube/Twitch. Coverage of the Redmond Cup, featuring top young players, continues on all three platforms starting at 3p. Starting at 7p our coverage of Round 2 of the U.S. Masters will be carried on YouTube/Twitch and KGS, with pro commentary by Yilun Yang 7P (KGS) and Stephanie Yin 1P (YouTube/Twitch) starting about an hour later. 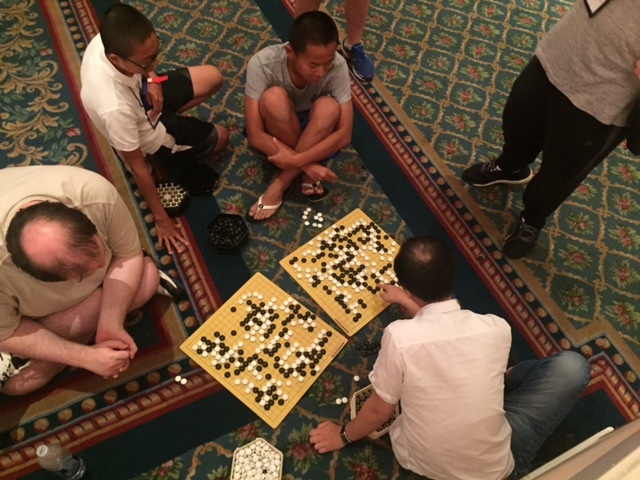 US Open game records wanted: If you’d like your game records added to the official US Open crosstab, please email your sgf files to us at journal@usgo.org. Be sure to complete the game information with both player’s names and the game result. For best results, please send them in by 6p on the day the game is played. Record games, get stronger: There’s another way of improving your game at this w eek’s Go Congress, in addition to the simuls, lectures and lessons. Record games at the evening rounds of the US Masters, as the country’s top players battle it out. The rounds are Sunday, Monday and Friday, starting at 7p and running until 10p or so. No experience necessary but you must have your own laptop with the latest KGS client installed. If interested, email journal@usgo.org. Got cool Congress photos? We’d love to see and post them! Email your best shots to us at journal@usgo.org and then watch for them on our Facebook and Twitter accounts. Got a go classified (Congress or other)? Email it to us at journal@usgo.org!